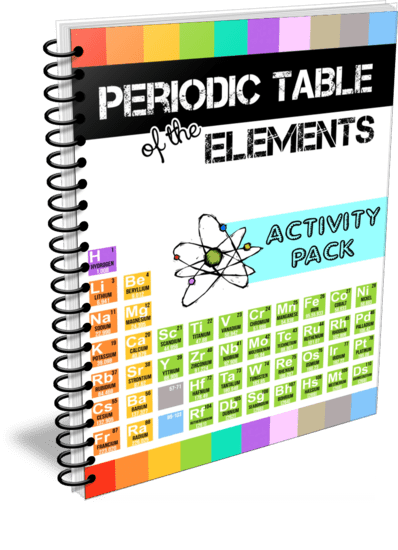 Learning about the Periodic Table of Elements doesn't have to be overwhelming! 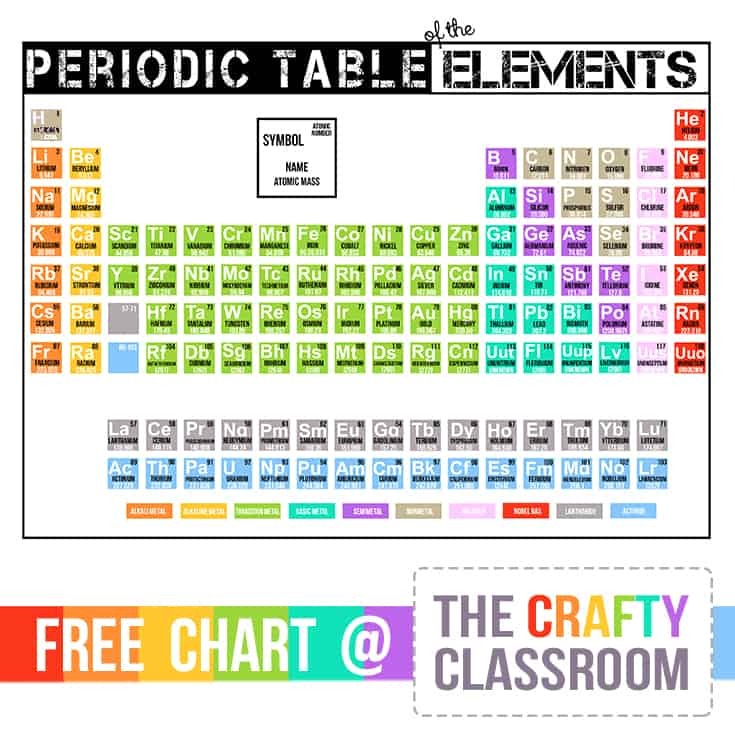 This full color, print friendly chart is designed to be the perfect addition to your homeschool science notebook or classroom wall. Children can easily identify each elemental name, symbol, atomic number, and atomic mass without a magnifying glass!